A series of reports compiled by nearly 600 scientists meeting in Medellin, Columbia paint a grim picture of the world at the end of the century, with human activities driving the sixth mass extinction in Earth’s history. Human activity has driven animals and plants into decline in every region of the world, putting our own well-being at risk by over-harvesting and polluting, a comprehensive species survey warned Friday. Asia-Pacific fish stocks may run out by 2048 and more than half of Africa's bird and mammal species could be lost by 2100 unless drastic measures are taken, according to four comprehensive reports released at a major environmental conference in Medellin, Colombia. Up to 90 percent of Asia-Pacific corals will suffer "severe degradation" by 2050, while in Europe and Central Asia, almost a third of known marine fish populations, and 42 percent of land animals and plants, are in decline. 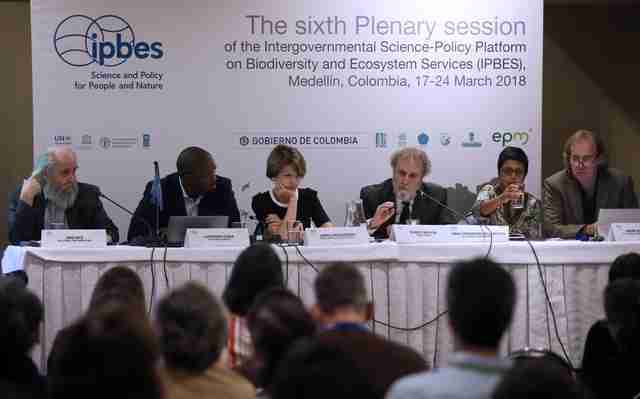 "This alarming trend endangers economies, livelihoods, food security, and the quality of life of people everywhere," warned the Intergovernmental Science-Policy Platform on Biodiversity and Ecosystem Services (IPBES). Compiled by nearly 600 scientists over three years, the reports underline that nature provides humans with food, clean water, energy, and regulates Earth's climate — just about everything we need to survive and thrive. One of the reports found that nature's contribution to people can be in the order of thousands of dollars per hectare per year. "We're undermining our own future well-being," IPBES chairman Robert Watson said of the findings. "Biodiversity continues to be lost across all of the regions of the globe. We're losing species, we're degrading ecosystems... if we continue 'business as usual', we will continue to lose biodiversity at increasing rates." The IPBES assessment divided the world into four regions: the Americas, Africa, Asia-Pacific, and Europe and, Central Asia — the whole planet except for the Antarctic and the open seas. The findings were summarized in four reports approved by 129-member IPBES's member countries in Colombia. They contain guidelines for governments to make biodiversity-friendlier policies in future. The texts make for grim reading and come in the same week that the death of Sudan — the world's last northern white rhino male — served as a stark reminder of the stakes. The continent will suffer "significant" plant losses, and its lakes will be 20-30 percent less productive by 2100. In the European Union, meanwhile, only seven percent of marine species assessed had a "favorable conservation status." "If we continue the way we are... the sixth mass extinction, the first one ever caused by humans, will continue," Watson old AFP. 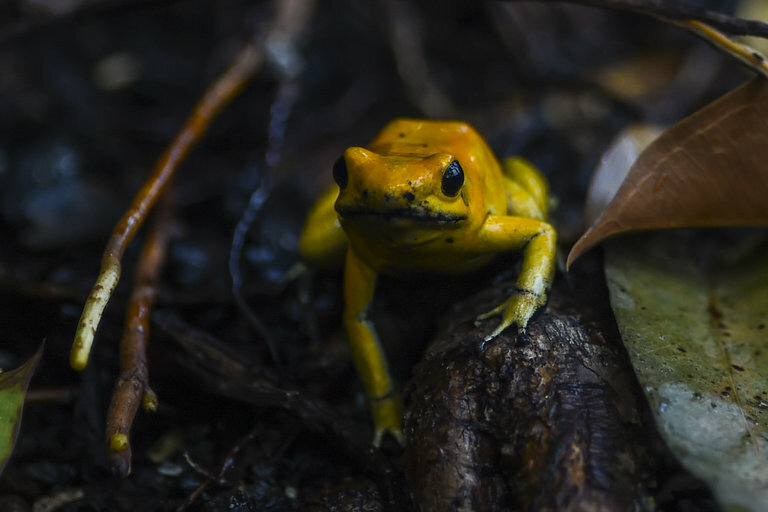 Scientists say mankind's voracious consumption of biodiversity has unleashed the first mass species die-off since the demise of the dinosaurs — only the sixth on our planet in half-a-billion years. "Climate change for the last 30 years has been increasing its role in changing nature, changing the ability of how nature can contribute to human well-being, and it is by far the fastest-growing pressure," said Jack Rice, a co-author of the Americas report. "It is likely by 2050, a generation away, climate change will be as strong a pressure as all the ways that we have historically converted natural lands to human-dominated systems." "Economic growth is going to continue. Population growth is going to continue to 2050, therefore demand for resources will grow," said Watson. "It's not too late" to halt or even reverse some of the harm, he said. "Can we stop all of it? No. Can we significantly slow it down? Yes," Watson said.